If you want to become a successful seller on Amazon and want to make a huge profit by selling more on Amazon then you need to understand the factors which affect your sales on Amazon like keyword research, competitive analysis, review rating graphs, product listing optimizations, and many more. To know about all these factors in detail, you should go for “Asinkey” which is the exceptional and the best Amazon keyword tool. It provides unique and ultimate solutions in targeting the right keywords for your products on Amazon. 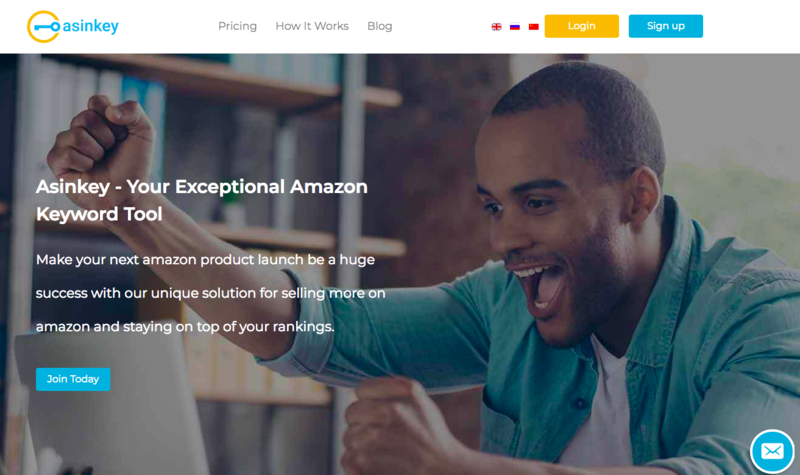 Launch your next product on Amazon with Asinkey and staying on top of Amazon’s search rankings. The Asinkey Amazon keyword tool was officially launched by the ‘Asinkey’ Company in the year 2017. A group of highly qualified and talented team works regularly on the tool to improve its features & functionalities. Their dedication and hard work pays them and now, Asinkey keyword tool has become the most exclusive tool in the marketplace. ‘Asinkey’ is basically an Amazon Keyword Database Provider. It has a keyword database of more than 20k products on Amazon. You will get the access of over 80k+ keyword suggestions after signing up on Asinkey tool. Till now, over 3k+ Amazon sellers are registered on Asinkey. You can also take the benefits of this amazing software by creating an account on Asinkey. Asinkey tool helps the Amazon sellers to improve their product sales on Amazon by providing the most accurate and correct keyword data to them. It helps you to find relevant keyword suggestions according to your product so that you can make better SEO strategies for your product launch on Amazon. It also provides a right guidance to the users who have more than 1 Amazon seller accounts. Find the most appropriate keywords for your products. Make a report on all the relevant merchant keywords with monthly search volumes given by the tool. Track and analyze all the Amazon keywords. Identify all the imperfections in your product listing and fix all the errors. Add a Product: For adding your product on Asinkey keyword tool, click on the ‘New Product’ icon from the Menu Bar. Then, copy your product URL and paste into the ‘Search Box’. Then, choose the right region and add the product to the list. Research Amazon Keywords: After adding your product to the list, click on the ‘Keyword Volumes’ icon. Enter any keyword related to your product and click on the ‘Generate Suggestions’. 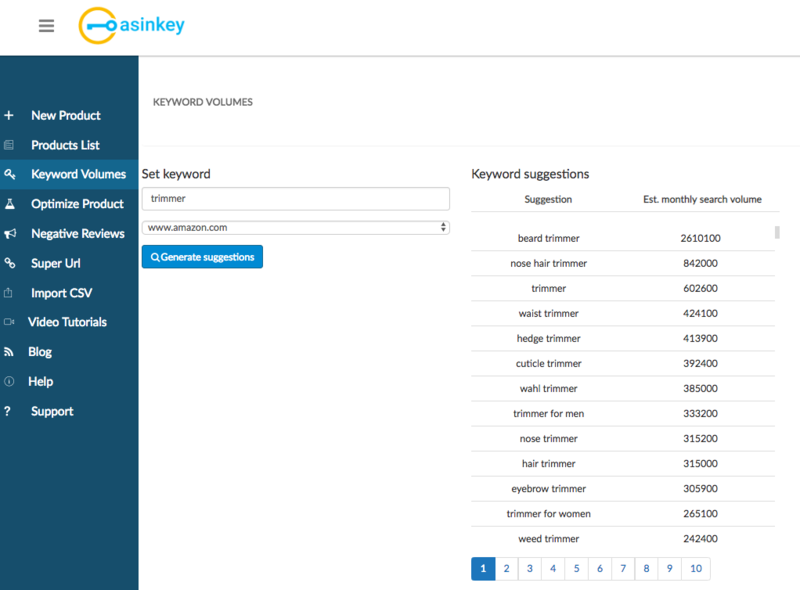 Asinkey provides you hundreds of keyword suggestions with estimated monthly search volume according to your search term. It is recommended for you to go for low search volume keywords if you are a beginner. Track Keyword Rankings: You can easily manage and track Amazon keyword rankings with this outstanding tool. The tool also shows the organic and sponsored ranks of a particular keyword. It allows their users to manage both the PPC campaigns from one dashboard. Optimize Your Product Listing: Click on the ‘Optimize Product’ icon and you will get all the information which affects the optimization of your product listing like product tile, product description, bullet points, product images, and product ratings. In other way, it helps in finding all the imperfections in your product listing so that you can optimize your product listing in a better and planned way. It suggests you to add high quality product images, title should be in between 10-20 words, and only mention selling points in product description. These factors improve your product visibility which helps in increasing your sales on Amazon. Super URLS: Super URLS are one of the best ways to target your audience and improve & increase the performance of your product listing. The sellers can also include their keywords in these Super URLS. The sellers can also sell their products through social media ads, email marketing, PPC campaigns, website, and blog posts by using these Super URLS. Review Rating Graph: Product reviews and ratings are important for both the buyers and the sellers on Amazon. The tool stores all the reviews and ratings in graph format given by the customers on your product. You can check all the reviews on any of your product anytime. It sends a notification alert instantly to you when any buyer gives a negative review on your product so that you can check the review, and respond accordingly, and also take the right steps to improve your product. Competitive Analysis: The software provides all the information of your competitor. You can track their keywords by using the tool. It helps in analyzing the competition on any keyword so that you make a strategy accordingly. Basic: $19.99/month – Get 90 keyword tracking, 180 keyword volumes, and 45 negative review tracking. Standard: $29.99/month – Get 180 keyword tracking, 400 keyword volumes, and 90 negative review tracking. 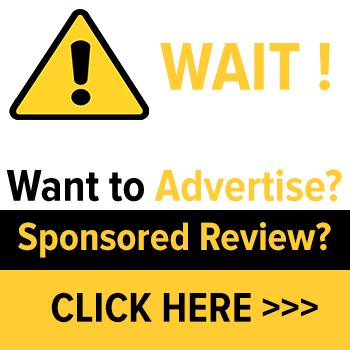 Advanced: $69.99/month – Get 700 keyword tracking, 1500 keyword volumes, and unlimited negative review tracking. Professional: $119.99/month – Get 2000 keyword tracking, unlimited keyword volumes, and unlimited negative review tracking. It helps in increasing your conversion rates. 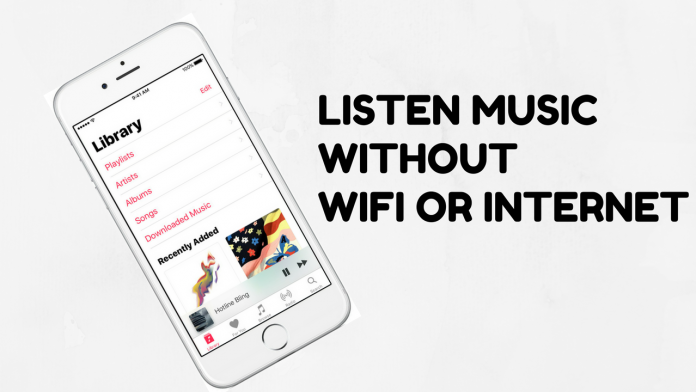 It is a user-friendly tool as the design of the tool is smooth and simple. It saves your time and money. It is totally safe and secure keyword tool. You can check real-time rankings as the tool regularly updates the keywords. It is one stop solution which gives the proper suggestions to fix all the errors in your product listing Amazon. 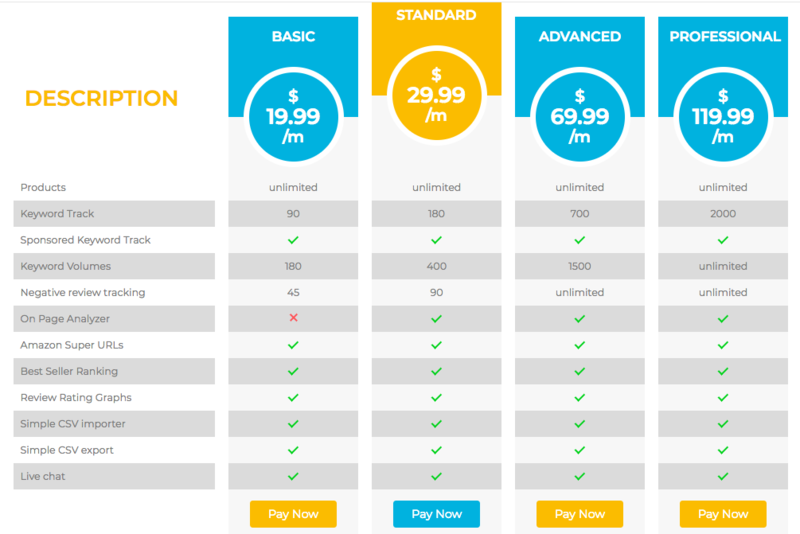 So, It is undoubtedly a worth software to buy. 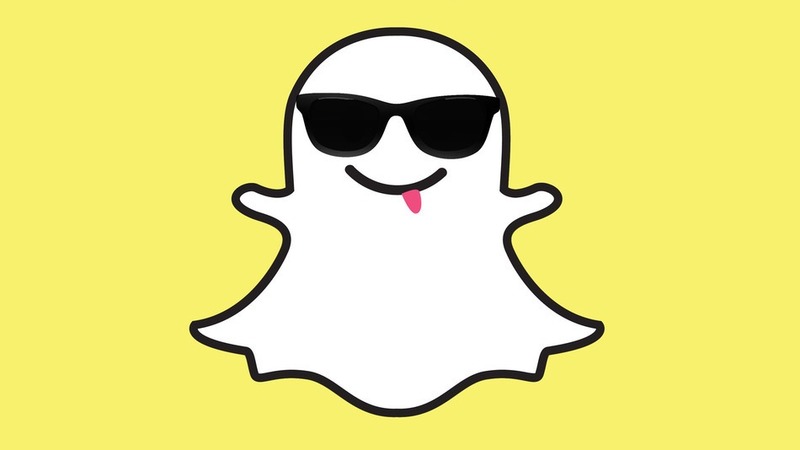 Longest Snapchat Streak 2019: Case Study On Snapchat Streak?